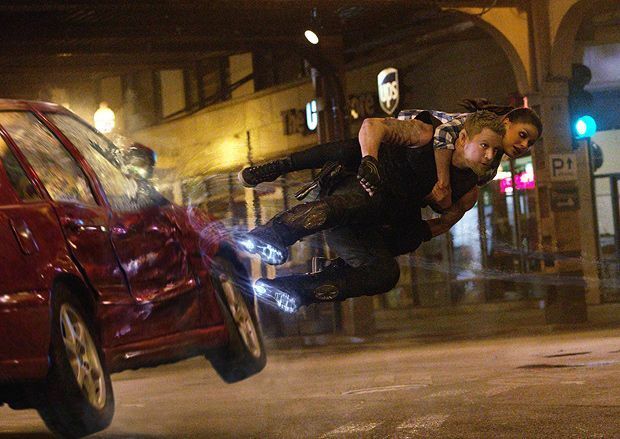 It's clear that Jupiter Ascending is a labour of love for its creators Andy and Lana Wachowski, who have jam-packed their ambitious intergalactic fantasy adventure full of ideas concerning genetics, reincarnation, the growing wealth divide and the mining of Earth's natural resources. However, it plays out like a convoluted mix of The Princess Diaries meets The Fifth Element, with the siblings blending an overabundance of sci-fi premises and visuals. Mila Kunis is Jupiter Jones, a cleaner who hates her life and dreams of something more. Out of the blue, a bunch of aliens appear to whisk her away but luckily Caine (Channing Tatum), a snarling lycanthrope with special gravity boots, saves the day and guides her in a quest to fulfil her true destiny as monarch of Earth. This complicated yarn also features a host of other players including Eddie Redmayne as the malevolent ruler of the universe, who's wickedly intent on harvesting planets, and Sean Bean as a gruff banished alien with serious beef against Caine. Terry Gilliam cameos in an amusing scene which sees Jupiter cutting through excessive bureaucracy to become a citizen and take her rightful place as royalty. It's a commentary on the corrupt class system, the satire of which was, incidentally, dealt with in a far superior manner in Bong Joon-ho's Snowpiercer. The old-fashioned approach to romance doesn't sit well, with Kunis playing a damsel-in-distress who gasps every few minutes. There are elements of Richard Donner's Superman in both the storyline and the scenes in which Caine takes flight. If this film hopes to ascend to comparable greatness it ultimately takes a nosedive, being neither gritty nor particularly entertaining and borrowing from too many classics of the genre. Imagine the loopiest fan-fiction you can, as written by devotees of the aforementioned Gilliam, and you'll be on the right track.